A common choice for larger forced induction diesel engines, the Holset HX50 turbo is one of the most widely used turbochargers across North America and Europe for 10 to 15 liter engines in light-heavy truck and bus applications. There are a number of different turbochargers on the market for mid to large-sized trucks, each with their own sets of strengths and weaknesses. The Holset HX50 turbo is no different, with its own list of pros and cons that you should consider before choose a brand to purchase for your vehicle. Affordably Priced – With such widespread usage, it’s pretty easy for the average home mechanic to get their hands on one of these turbochargers at a very reasonable price. Buying a used Holset HX50 turbo is even cheaper, with plenty of websites offering quality pre-owned parts at just a fraction of the original retail cost. Long-Lasting – One of the primary reasons why the HX50 turbocharger is so popular among commercial users is the simple truth that it lasts for a long time. When you’re talking about operations running trucks and buses for hundreds of thousands – if not a million – miles, replacing a turbocharger every 50,000 or 100,000 miles simply isn’t an option. And the fact that it’s so easy to find a used hx50 turbo goes to show that these parts may very well last longer than the vehicle you put it on. Easy to Install – You had better be a professional mechanic – or at least a very skilled hobbyist – if you hope to properly install some of the other turbos on the market. 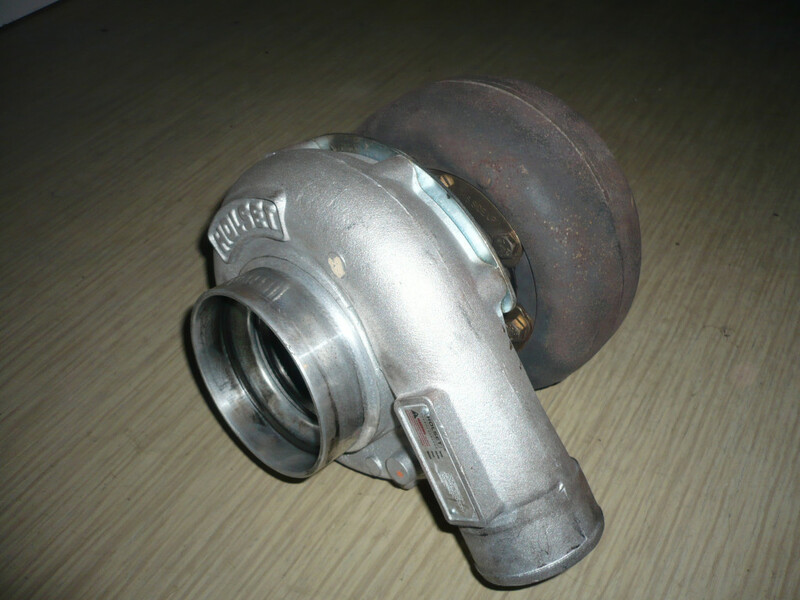 With the Holset Hx50 turbocharger, however, there are plenty of accounts of home mechanics successfully installing it in their truck without too much issues. There needs to be a caveat here though, as the ease of installation will positively vary by your vehicle. Moderate Lag – Because it uses an older technology than its newer (although slightly smaller) counterpart, the Holset HX40 turbo, the HX50 does generate a little more lag than other Holset turbos. For truck owners looking for track-quality acceleration, the HX40 is a better choice. While still noticeable, this isn’t nearly as big of a deal for owners more concerned with towing power and fuel efficiency. Adapter Kits – For some vehicles – especially newer trucks – it can occasionally be difficult to find a Holset HX50 adapter kit. This is due to a combination of the facts that these turbos are most popular among certain model trucks and engines, as well as that the owners of 10 to 15 liter diesel trucks manufactured in the past two decades frequently choose the HX40 over the HX50. 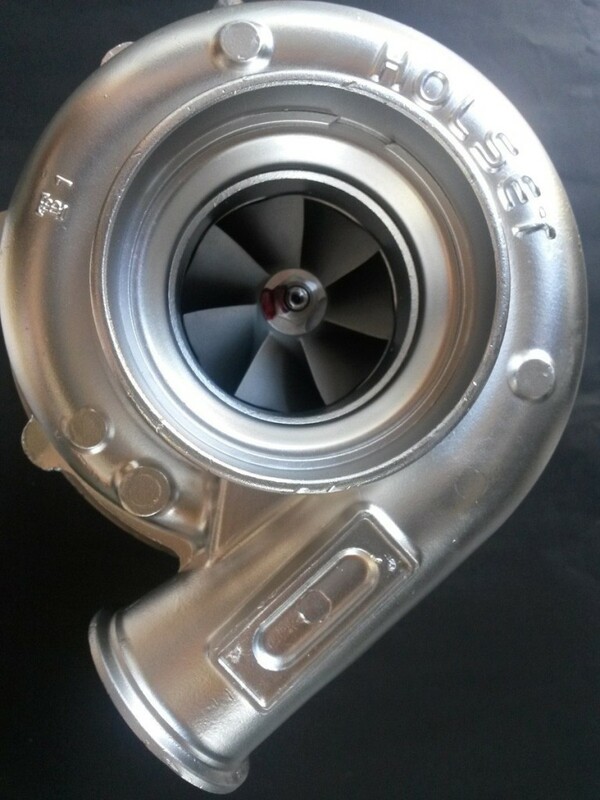 Despite having a couple of shortcomings when compared to other more high-end turbochargers, the Holset HX50 turbo is a solid choice for anyone who owns an older mid to large-sized diesel truck and is searching for an affordable way to increase their vehicle’s performance.